Actually it is Jason Alexander, the actor who played George who has a “man-crush” on Obama. I read about it in this article on Breitbart.com, which I found thanks to Instapundit. Jason Alexander, who played George Costanza on “Seinfeld,” told an Iowa audience he has a “man-crush” on President Barack Obama. Alexander was speaking to Obama volunteers on Thursday, the day early voting started in Iowa, and said he had met Obama many times. Like many in Hollywood, Alexander has been a fervent Obama supporter and has criticized the so-called “1-percent” even though he is a part of it. Well, if Mr. Alexander really doesn’t want to be part of the “1%”, then there is nothing to stop him from giving all of his money away. He is not going to do that though. Instead, he is backing people and policies that will lead to the economic growth that will allow others to better themselves. Nice. 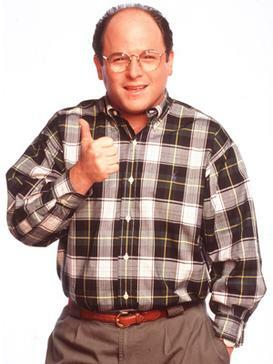 I guess that playing the selfish, dishonest George Costanza wasn’t that much of a stretch of his acting abilities.